Cardboard Joe and the Book of Mysteries is like a cartoon… but the best cartoon ever because you get to join in and decide what happens. Cardboard Joe loves stories... he loves reading them, he loves hearing them, he loves meeting people who love them and he loves all the characters that live in them – even the baddies! 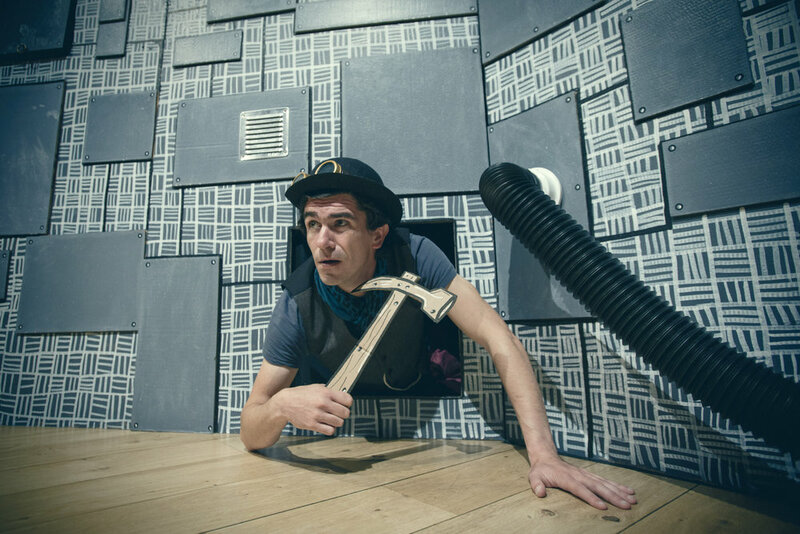 This new show is part cartoon, part play that brings together animation, performance, music and loads of joining in! A new fun-filled family adventure touring venues across Yorkshire and North Lincolnshire in September and October 2016. 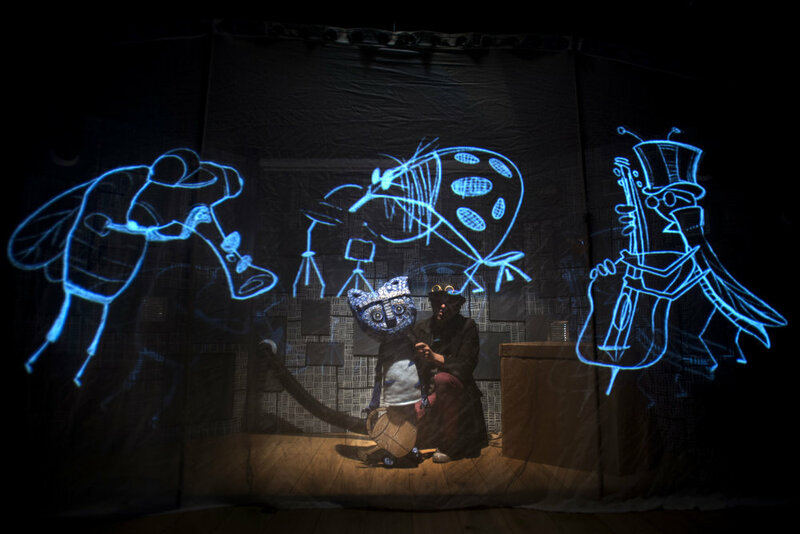 Cardboard Joe & The Book of Mysteries is commissioned by Small Venues Network using funds from Arts Council England. I developed this eclectic and media rich family theatre show alongside Dan Mallaghan and Nick Lewis from 154 Collective. 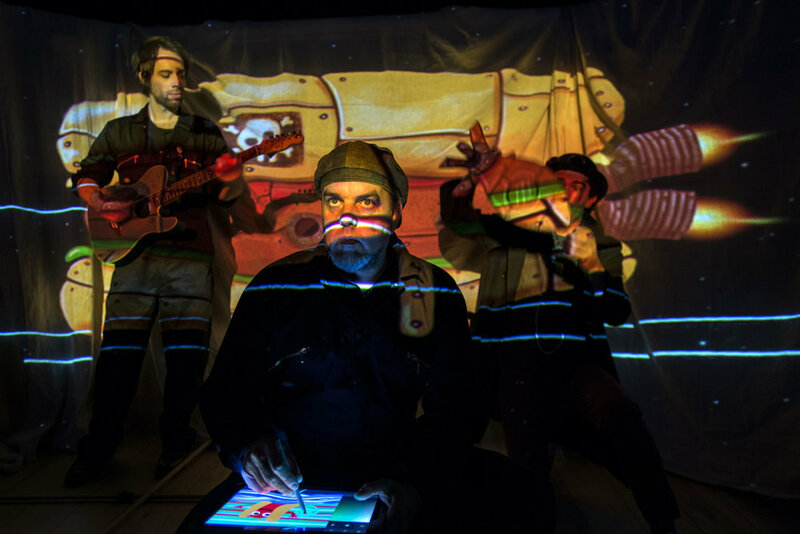 The show contains animation, music, video footage, puppetry, performance, audience interactivity and live cardboard sculpting, and its a lot of fun!